Scientific research will greatly benefit from quantum computers, which will process data millions of times faster than traditional supercomputers. Google now wants to help scientists everywhere access their quantum computers through a cloud service. Major companies like Google and IBM have invested heavily in projects involving quantum computing technology in the last 10 years. Google thinks the technology is ready to see commercial use and intends to make it available for scientists through a cloud service. Google has been testing their latest quantum computer with select science labs and A.I. researchers in the past months, in order to develop tools and applications for the cloud-computing service integration. According to Peter McMahon, a scientists pitched by Google on the cloud-computing service plan, Google is “pretty open that they’re building quantum hardware and they would, at some point in the future, make it a cloud service”. However, Google has not yet made an official statement about this project. Quantum computers are supposed to help scientists solve complex problems that traditional computers can’t handle. While traditional computers process and organize bits of data using zeroes and ones, quantum computers use “qubits” that can be a one, a zero or a state in between these values at any time. Google is confident that the quantum computers will process complex tasks millions of times faster than any traditional supercomputer in use. The latest quantum computer prototype found in the Google labs is capable of processing 49 qubits, but, according to Seth Loyd, a professor at the Massachusetts Institute of Technology, “useful applications will arrive when a system has more than 100 qubits." 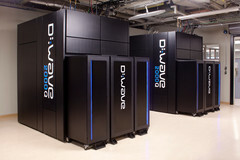 Since quantum computers are bulky and require extreme maintenance involving very low temperatures, the technology is more suitable for rental over the internet. If Google can produce a fast enough quantum computer, this could drastically reduce computing times and, consequently, cut prices for the cloud service, offering an edge over competitors like Amazon or Microsoft.